We are able to accommodate Laser Welding, TIG Welding & Laser Cutting orders from as small as one piece to runs of hundreds of pieces. Our welders are capable of handling small components that fit in the palm of your hand to objects as heavy as 14,000 lbs. Our Laser Welders have a wattage range of 50 – 300 watts. This gives us the ability to weld a range of materials from H-13 Steel to Beryllium. The welders also have a amperage range of 1/10 of an amp to 320 amps allowing us to laser weld or TIG weld on an array of material thicknesses. We proudly use precision micro laser welders in all three of our locations. 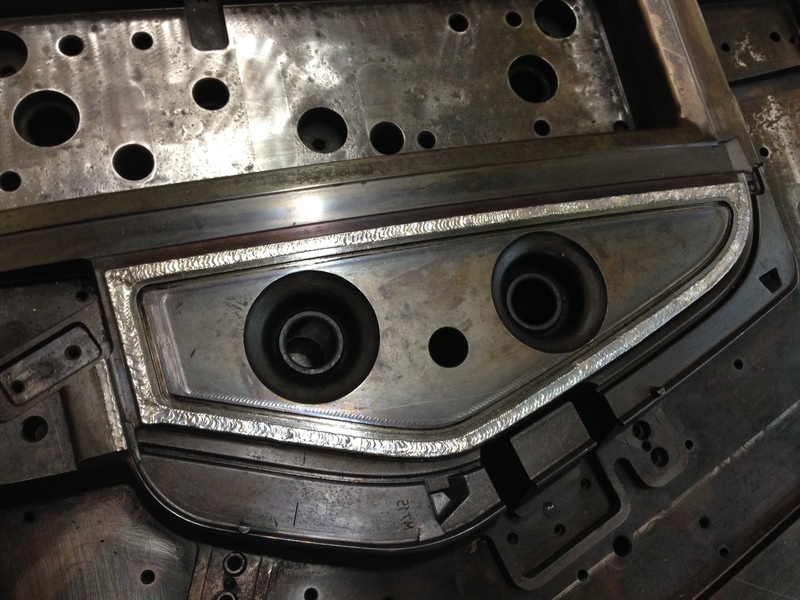 These welders give us the capability to work with a wide range of materials from P-20 Tool Steel to H-13 Stainless, as well as, more complicated materials like Beryllium (Mold Max). With the large arsenal of welders we can utilize a multitude of welding wire diameters. Based on the application we are able to laser weld with wire as small as 0.0015″ diameter to as large as 0.035″ diameter wire. 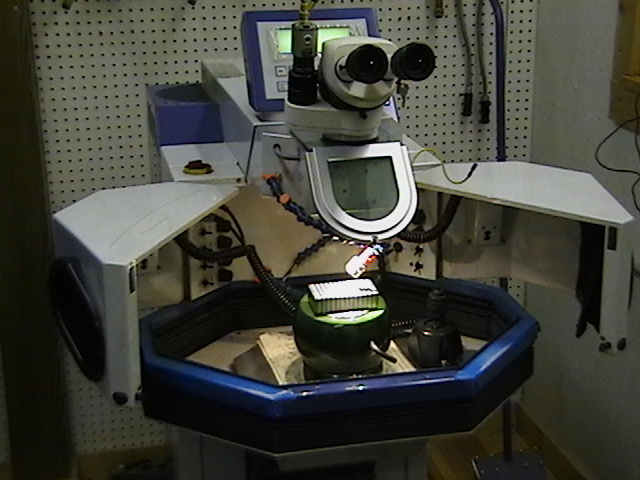 We currently have seven Micro Laser Welding machines that are operational. We also have CNC Laser Welding capabilities at two locations, giving us the ability to weld complicated, repetitive components over a shorter period of time. The company was originally founded as a TIG welding operation and we have continually advanced our abilities to ensure our TIG welding continues to produce the highest quality results. We currently have six TIG welders in operation at two of our three locations. With those we have the ability to work with most all grades of Tool Steel, as well as, Aluminum, Beryllium, and Inconel. 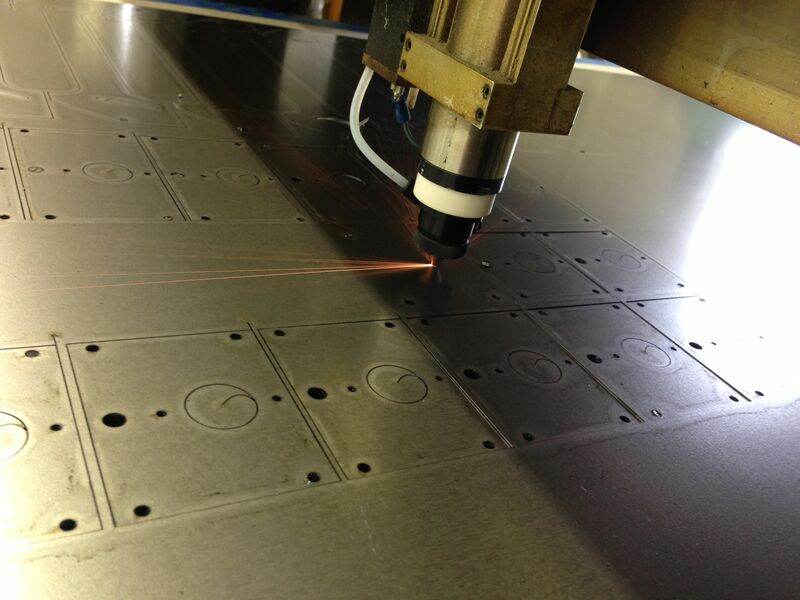 Our laser cutting capabilities meet the same precise and meticulous standards as our laser welding. Our laser cutting facility, managed by Kelly Horton, uses a 200 Watt CO2 Laser Cutter. We are able to hold a +/- 0.004″ tolerance over the 50″ x 100″ table. We have the ability to work with a large range of materials. The available materials include: Carbon/Mild Steel up to 0.125″ thick, Stainless Steel up to 0.100″ Thick, Wood up to .900″ Thick, Foam 2.5″ Thick, Fabric/Textiles, and Filter Media. See our Gallery for examples or visit Tri City Laser’s website for more information.